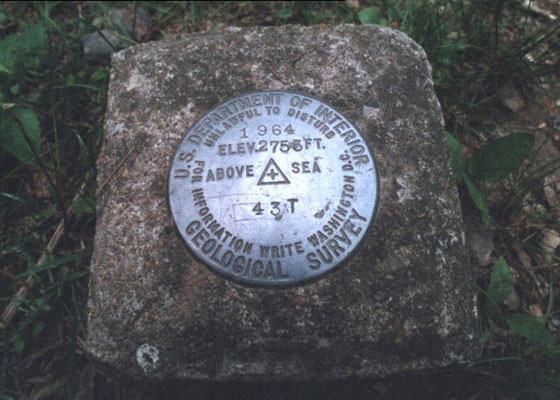 This is the benchmark found on the mountain on May 16, 2000. The original MAG benchmark seems to have been replaced by this one. A search of the USGS database for 43T does not bring up anything. The date is 1964 and the elevation is 2753 feet although the last three is a bit hard to make out in this photo.